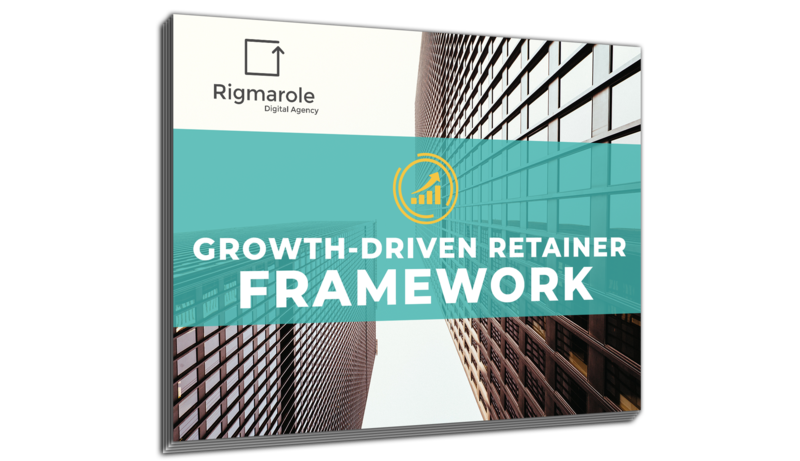 Growth-Driven Retainers are the most effective way to grow your customers without breaking the bank. During your first few months with an agency, it can seem like there are no results. With us, your first three months are discounted and there's no long-term contract. Paying for agency hours is outdated and ineffective. You pay us only when you get the results you're looking for. No strings attached. You can throw the marketing jargon out the window. We focus on the metrics that matter - specifically for YOUR business - and that's it. We help you add technology and other integrations to your marketing mix as you need them so your overhead doesn't go through the roof. "GDR only requires a 3-month commitment on your part. A growth team sits down with you, figures out your specific needs, and comes up with a 12-month growth plan. While retainers start at a minimum $1500 per month (a real bargain in the industry), to have the option of scaling them up as your business continues to grow is revolutionary..."
You can read the rest in the GDR Framework! You can focus on generating leads and revenue and forget about managing a smattering of scattered tools. Traditional retainers employ a cookie cutter method for measuring results. With a GDR, we spend three months understanding what metrics work best for your business and industry. Retainers are renegotiated every three months based on the past quarter's results. If you want to opt out, there are no long term commitments and no strings attached. With a GDR, we think nothing is more important than growing your customers. Customer growth is always above simple production.